The WIP is getting closer with another chunk of editing checked off. I’ve introduced the main character, Raze. 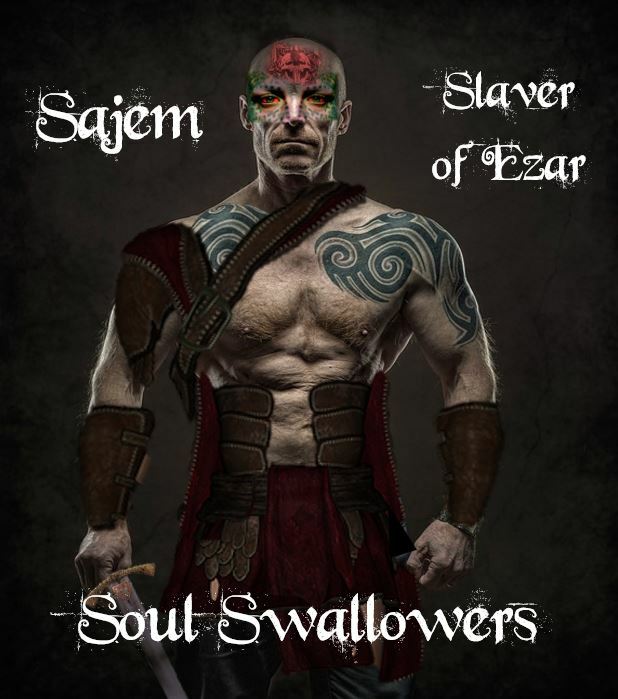 I hope you enjoy getting a peek into Sajem (from Johzar’s perspective). “We’re not assassins,” the woman said. “I don’t take orders,” Sajem snarled. “Times change,” one of Sajem’s men said. None of the slavers replied, and Sajem emptied his tankard down his gullet. 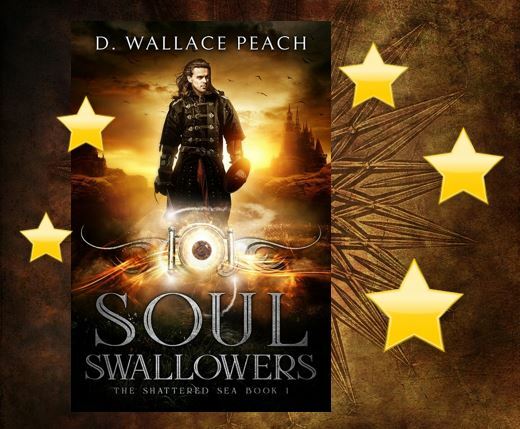 This fantasy tale hasn’t received a lot of press lately, so when a review showed up on fantasy author K. D. Dowdall’s site, I was more than delighted. Many thanks to Karen for her thoughtful comments. If you head over to read, take a gander at her books, and I hope you enjoy her review! 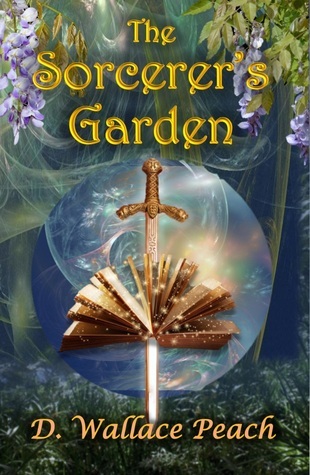 In the story of The Sorcerer’s Garden by D. Wallace Peach, we see the overall story as fascinating and rich in details that excite our need for fantasy and storytelling. 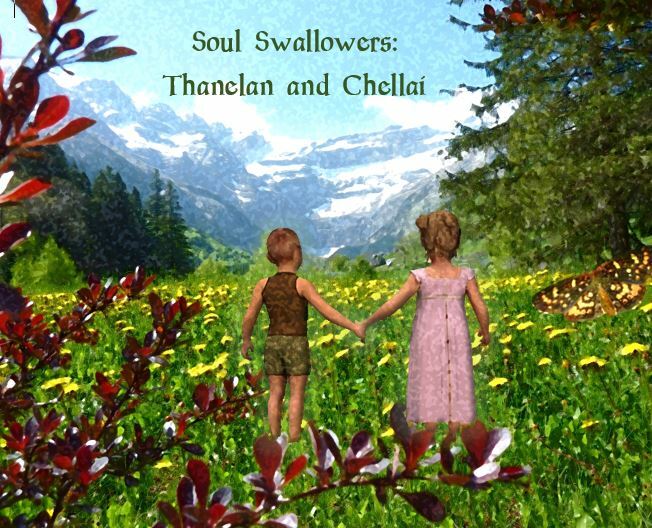 At first glimpse, it is a story about dragons, courage, adventure, war, soul-thieves, and the good versus the bad in people. The Rose Shield: Catling’s Bane goes Live! Many of you have read the character introductions and heard me going on and on about getting this book ready. Well, that’s all in the past now as Catling’s Bane is live on Amazon! Many thanks to all those who read, commented, and encouraged me with your kind words over the past two years. Special thanks to my writer’s critique group and to an awesome bunch of beta readers who helped me with the final spit and polish. The meadow sings with crickets and dragons, swarms of bees and seeds on white wings. You wade into the blue-eyed grass, a waterless sea of larkspur, speedwell and mountain everlasting. Breathe the fragrance of a windless day when the energies of earth, water, and sky crackle in the air. In the cloudless currents, dragons dip and roll with the grace of swallows. Silken wings billow, dyed by a blushing sky, light as windswept sails. The waning sun glints on scales of emerald and seafoam, coral and moonstone. Present to your perceptions, shutter your eyes and breathe until the rhythm of your heart entrances. The dark and stale corners empty, willing you to release the mind and be one, indistinguishable from the world. You call the dragons down. A breath of wind whispers across your lashes. Risk a glance. The aimless whirl of wings transforms into a weaving dance of muscle, sinew, heart and soul. Dragons ride the sky in undulating waves, a vortex swirling down to the mountain’s flowered sea. Be still, a pillar of stone as the great dragons descend. A flurry of wings paints the air in hues of topaz, amethyst, and green tourmaline. Crescent scales shimmer like watercolor moons. Wary, you exhale, mindful of those that huff and hum around you, sharing the air as if you’ve vanished into the breathing, living landscape. A dappled dragon rears before you. Wings of abalone sweep the sky. You do not falter, but surrender and approach. Fingertips glide over the webbing’s hollow bones and brush pearly scales, bestirred by the softness. The long neck curves and cloud-gray eyes peer into you, a soul freed of fear. The dragon lowers a wing, the long-awaited invitation. You open like a whisper, and in that pause between your heartbeats, at the precise point when the inhale becomes the exhale, the dragon slides beneath your skin. Light streams into your heart. Particles of life that once comprised your body merge in tender intimacy with the world, and your essence radiates beyond your flesh, blood, and bones. You are luminous, sunlight and stardust, one with the dragon’s soul. Stepping softly, you rise over the sleek back. Wings unfold beneath you, flowing and flaring outward as the last rays of day span the wilderness. 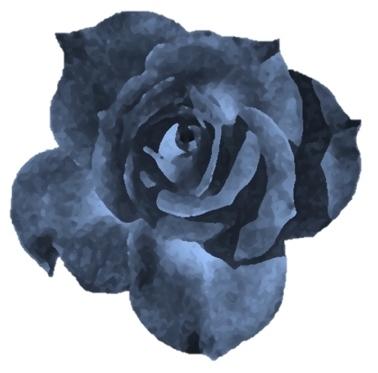 They drum the petaled sea, and as one, you ascend, chasing the sun that rolls over the horizon. You lift your face and raise your arms for you too have wings and song and soar. The dragon spirals higher, neck craned, eyes glistening in the golden glow of twilight. Wings fanned back, you fly faster, picking up speed, letting the world pull you around, faster, the wind singing in your ears. You sweep past forests of jagged giants, crest the snow-cowled peaks, and soar over the thorny rose that rims the craggy shore. Your heart surges as you sail over the wind-worn sea, embracing the utter boundlessness of flight, the freedom of the wing, the spinning of the world hurling you forward and slinging you into myth. 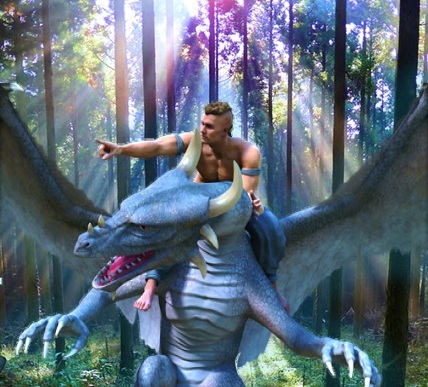 That’s what it feels like to ride a dragon.